I had an idea for a story the other day...now it is gone like a dream. Only fragments remain. I know that it isn't really very helpful to record this, but then again, it is good to know that ideas do come, even if they evaporate just as easily. I need to get in the habit of writing them down in the moment. It was a good idea, too - a grasping of something aesthetic and singular, a moment of converging circumstance, (Jeff) Noon-like in its strangeness. As always, it was something about reality being different, somehow encumbered by some strange rule or rules...something about a man using a handheld device, one that is an encumbrance rather than an aid...a device, the use of which is endured like a disease, rather than enjoyed like a trend or a consumer fad. This device is always with him, and it imparts obligations rather than pleasure or even the vague promise, however unfulfilled, of freedom. He takes it like medication. It is like any other addiction: it loads him with strange and uncomfortable social responsibilities. 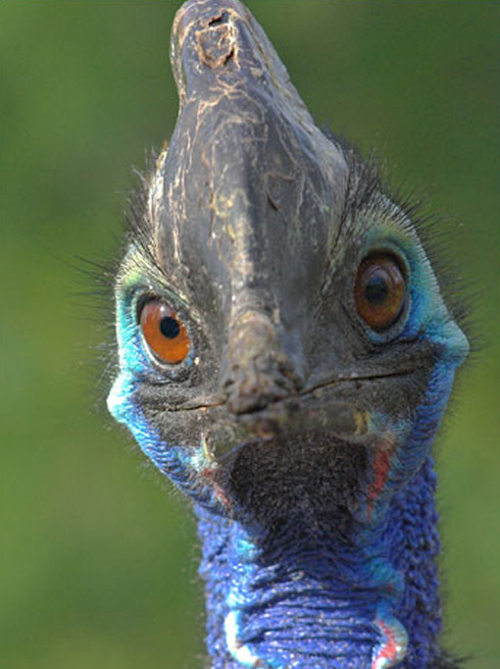 Strangely, a cassowary* was also involved somehow.